home .Featured, Infectious Diseases, Scholarly Literature (Journals, Books, Reports), Space Today in possibly interesting science but needless fear mongering ..
Today in possibly interesting science but needless fear mongering .. But the article includes a bunch of needless fear mongering. 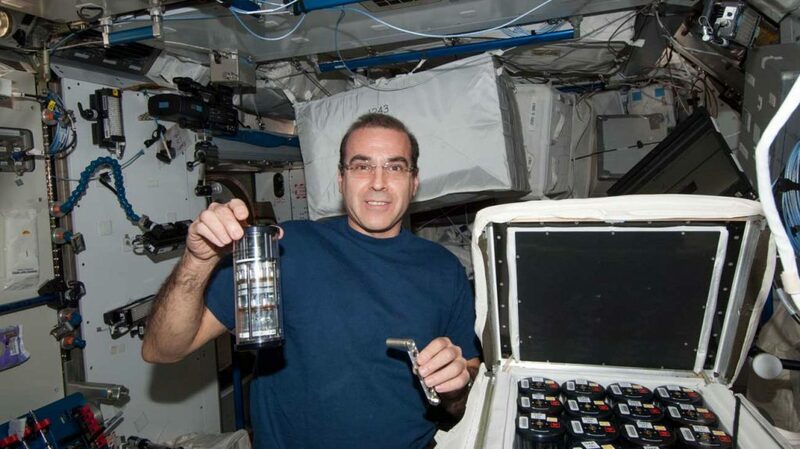 What the research showed is that bacteria like E. coli grow differently in space than on Earth. We have known this for a variety of microbes for a while. But there are some new findings here and the paper may be of interest to some. Basically they looked at bacterial growth, cell size, cell envelope thickness, cell ultrastructure, and culture morphology. And some of the results are interesting. The clumping of E. coli bacterial cells may be related to biofilm formation—multicellular communities held together by a self-produced matrix. Examples of biofilms on Earth include the scum on vinyl shower curtains, dental plaque and even collections of bacteria that can adhere to silicon in medical devices like catheters. Biofilms also can form on various surfaces of space vehicles, said Zea, making them a potential health threat to space travelers. Yes, the clumping of cells “may” be related to biofilm formation, that is true. But they did not show that. And yes, biofilms can form on various surfaces in space and may be harmful in ways. The clear implication of this writing is that the clumping may be a health hazard. Sort of makes sense. But then, I do not understand how clumping could be a defensive maneuver of any importance since, well, presumably these bacteria did not evolve their defenses in space. Which seems pretty strange to me since as far as I can tell, the E. coli strain used in this experiment is not virulent. So if something is happening with it’s vesicles it presumably has no direct connection to infection. I certainly think there is interesting science in studying how microbes grow in space settings. However, I personally think there is too much connecting the sparse dots here to infectious disease and related pathogenicity and virulence issues. There is no data in this paper about infectivity or virulence or pathogenetic or any other parameter related to negative health consequences for a human. So it is unquestionably fear mongering for this article to have a title “Space-Grown Bacteria Could Pose Major Problems for Astronauts”. Yes we need to better understand the microbiology of space. No, fear mongering is not helpful in that regard. What could they have done differently to make this study more valid? Well, the study is fine and interesting. It is just not about what they claim it was about. They need to match their claims to the actual work.